Another surprise blessing during Wes' third birthday house party two weekends ago, was his Ice Cream Party Package sent by Nestle! What's a children's party without ice cream right? So when I received an email about the package, I was so thrilled! 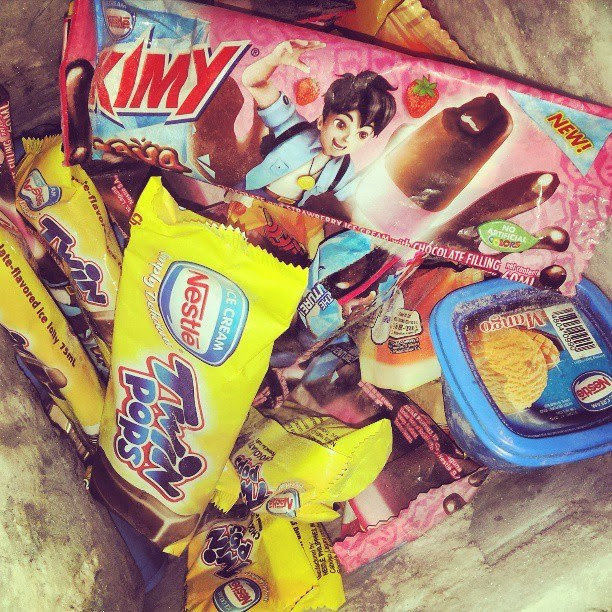 The kids and kids-at-heart (like myself) would surely enjoy this Nestle Ice Cream treat! Step 1: Go to http://icecreamparty.ph then choose your selection. Step 2: After choosing your package, you may still customize your order by what ice cream and quantity per ice cream. Step 3: Complete this form with your contact details. You're all done! It's that SIMPLE! Is your child celebrating his or her birthday soon? Try this hassle-free online ordering of your Nestle Ice Cream Party Package from Nestle! :) Happy party planning loves! I love their accessibility.. easy peasy and very yummy treats too! How's the price compared with supermarket rates? Same lang ba?